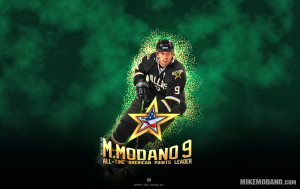 American Hockey Legend, 7-time NHL All-Star and Philanthropist are just a few of the different ways that Mike Modano is introduced. Mike is proud of all of those titles, and what earning them now allows him to do in his time Off the Ice. 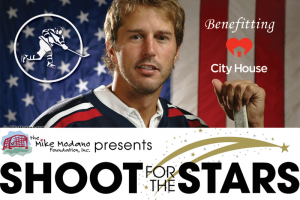 Mike’s still using his 5th gear off the ice, applying his time and talent to grow American hockey as well as focus on charitable causes that are close to his heart. 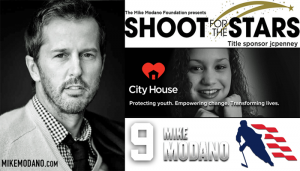 As the CEO of the Mike Modano Foundation, Mike is using his Iconic status to raise awareness and provide support to organizations, programs and projects that serve children, veterans and canines. 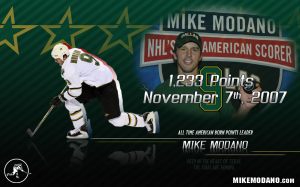 Mike has also earned accolades as an Analyst for Fox Sports and the NHL Network in his retirement from professional hockey. 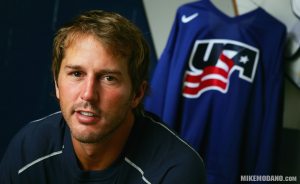 But he’s also extending his reach into the sport he loves by becoming a Minority Owner in the Professional Hockey Organization of the Allen Americans, along with former teammates Ed Belfour, Richard Matvichuk and Craig Ludwig. 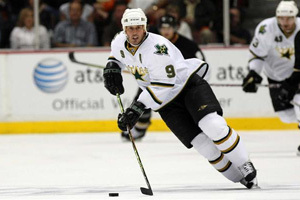 For all the latest on Mike’s events and opinions, follow him on Twitter @9modano and facebook.com/9Modano.